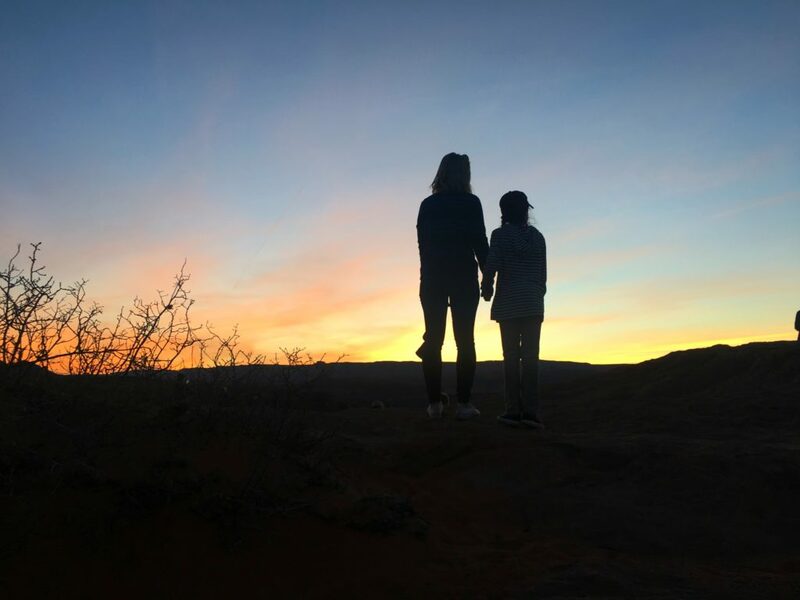 Trip Report | Antelope Canyon + Horseshoe Bend | hi Sugarplum! Okay, you guys rock the casbah! 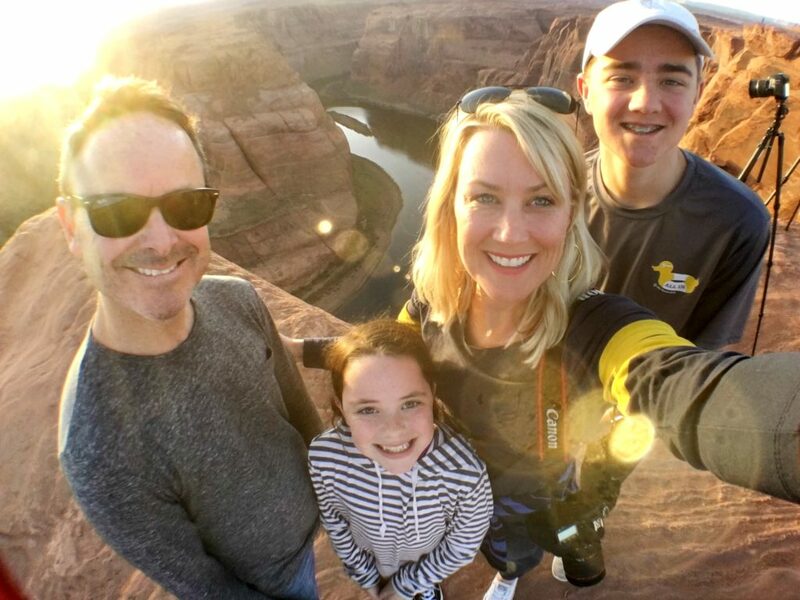 I thought you might actually want to punch me in the face when I told you about our latest adventure with Princess Cruises…but not only were you so excited with us, but you offered up some great tips and advice! Thank you, thank you! I know it has to seem obnoxious when bloggers get invitations like this, and trust me, I want to punch my own face sometimes…but I don’t for one second take these opportunities for granted. I’m in a bit of panic mode over here, considering we leave tomorrow, and I haven’t even packed (!!! )…but how can I be stressed about visiting Russia?! #zoinks I know it’s going to be an experience unlike any we’ve ever had, and I can’t wait to share it with y’all. Of course I’ll have full reports on the blog, but I’ll be posting to Instagram and Facebook everyday…and I’m sure Mr. SP will infiltrate my Instagram Stories. 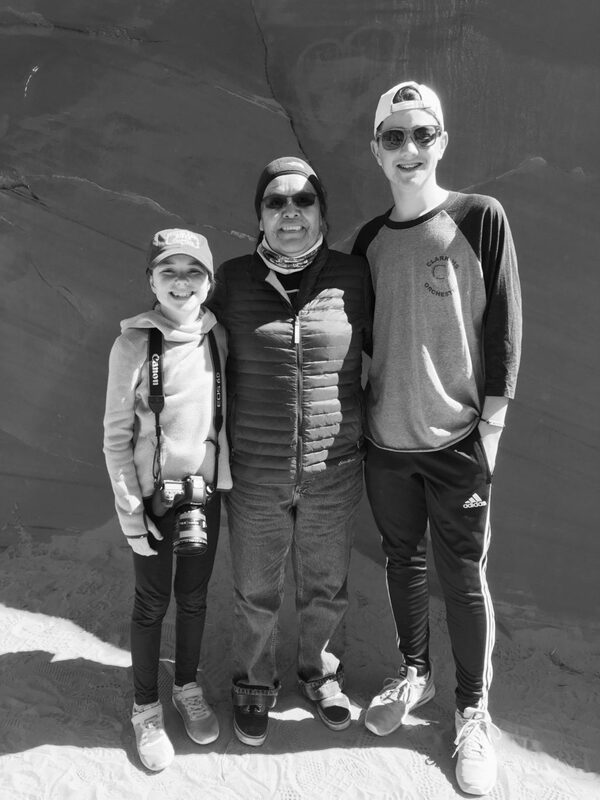 Today I’m wrapping up the final Trip Report on our Spring Break adventure of National Parks. 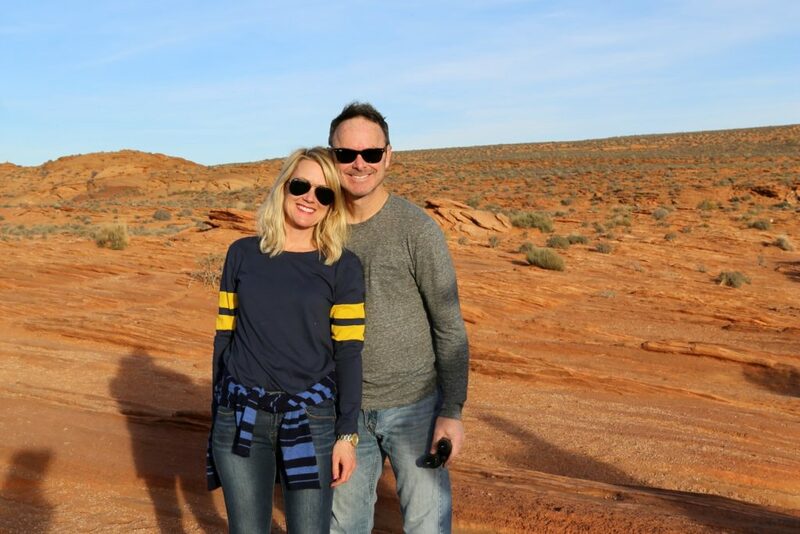 And funny enough, I had no intention of posting about our stop in Page, Arizona…I envisioned it as a quick stopover, on our way to the Grand Canyon. Little did I know it would be our favorite experience of the entire week! 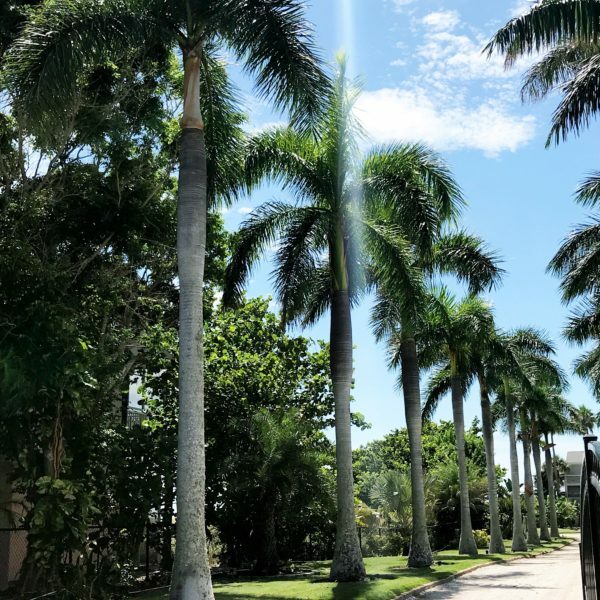 When planning our itinerary, we tried to keep all the driving times to under 3-hours so it didn’t feel like we spent our week in the car. Which worked well, until we discovered the North Rim of the Grand Canyon (only 2.5-hours from Bryce Canyon, and our original destination) was still closed in early March. Which meant we were going to the South Rim…5-hours away. 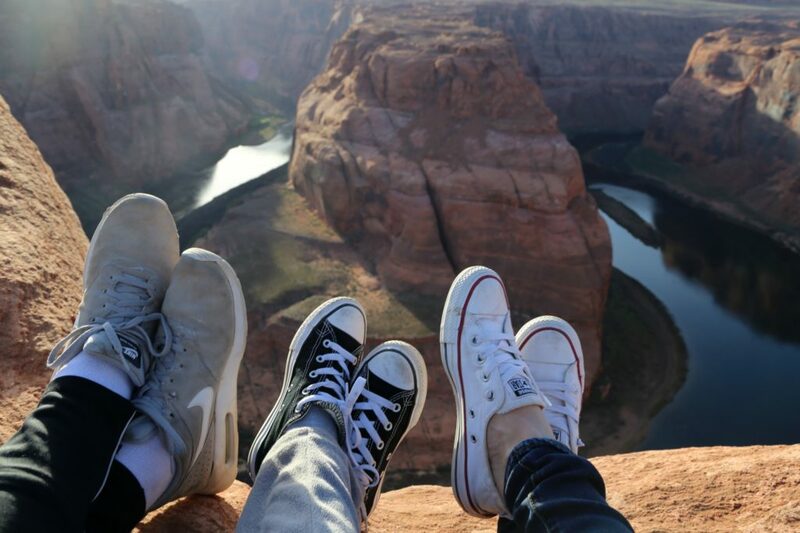 It just so happens that the little town of Page, Arizona is a great halfway point, and home to Horseshoe Bend, Antelope Canyon, and the calmest segment of the Colorado River! Prepare for photo-overload because those spots are stunning!!! 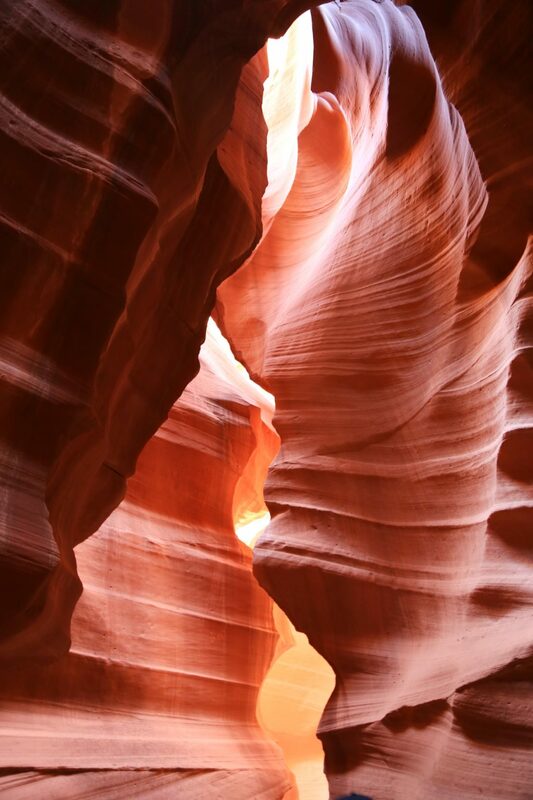 Antelope Canyon is a slot canyon, located on Navajo land, and only accessible via guided tours. It’s completely flat, and it only takes about an hour to wander through it, with some areas so narrow you have to turn sideways to get through. 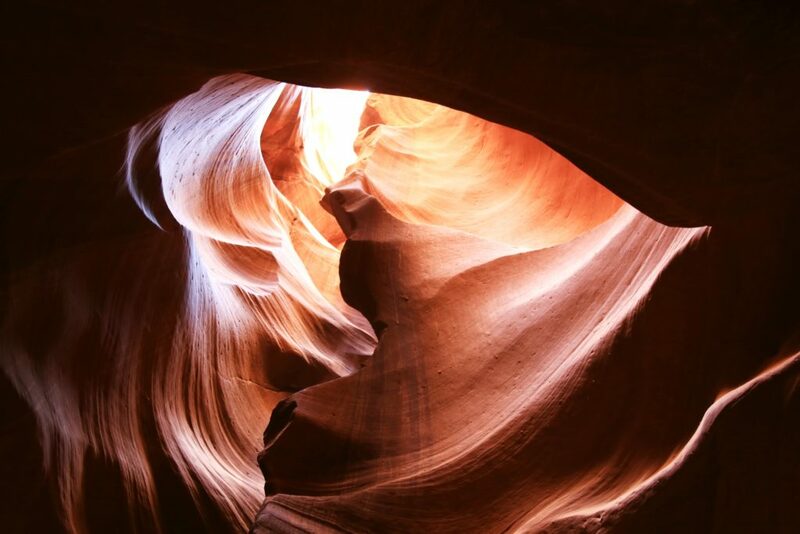 Depending on the time of day, beams of light shine through and illuminate the layers of sandstone. It can only be described as breath-taking, and every one of us agreed it was the coolest part of our trip! 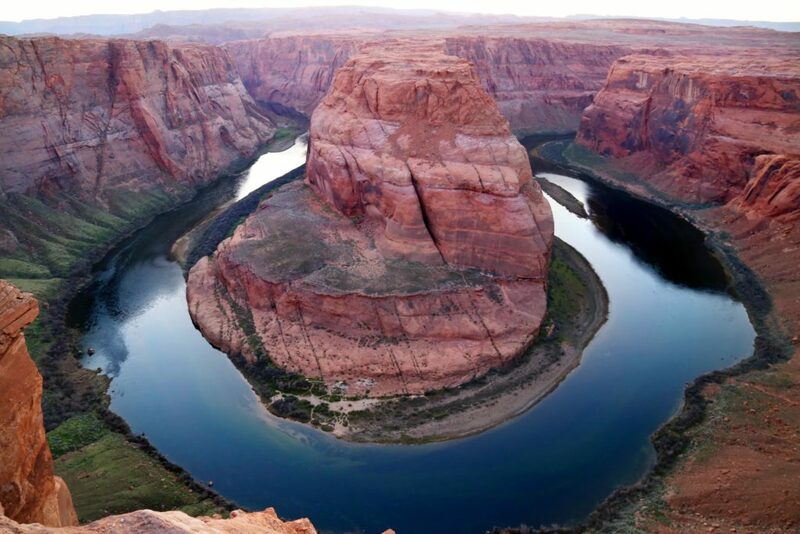 Horseshoe Bend is where the Colorado River makes a complete turn in the shape of…you guessed it, a horseshoe. 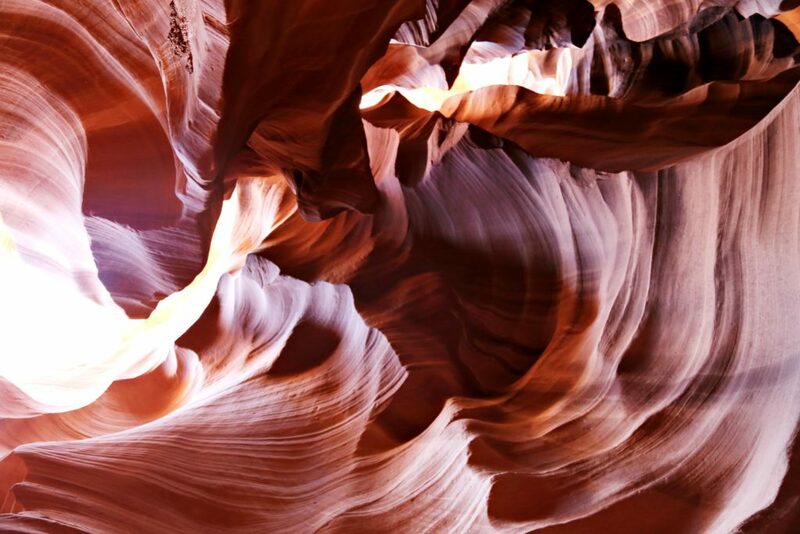 It’s located about 5-miles outside of Page, and about a 1.5-mile roundtrip walk from Hwy 89. My photo has no scale reference for you, but the edge is 1000-feet up! If there were people standing on the cliff across from us, you wouldn’t even be able to see them. It’s an easy walk out, and a gorgeous spot to watch the sunset. 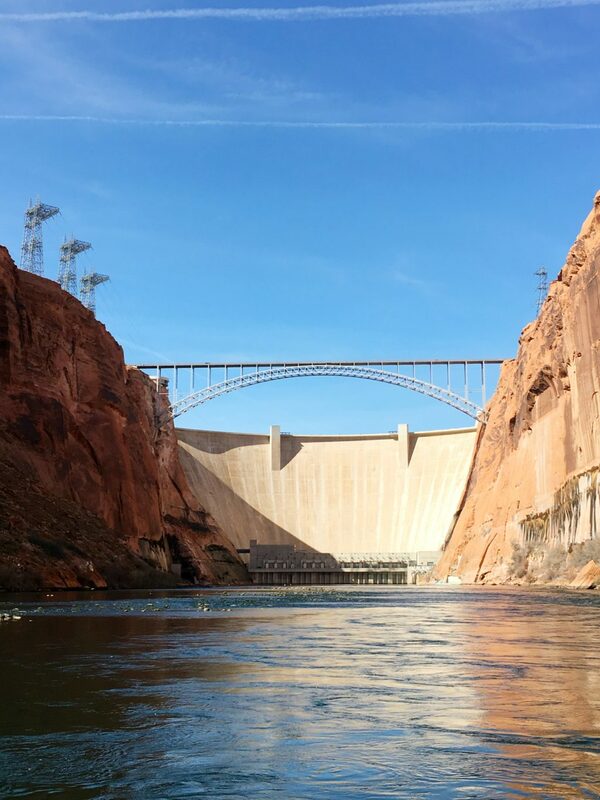 Glen Canyon Dam, a monstrous structure that forms Lake Powell, and floods the sandstone gorges of Glen Canyon, is another highlight in Page. 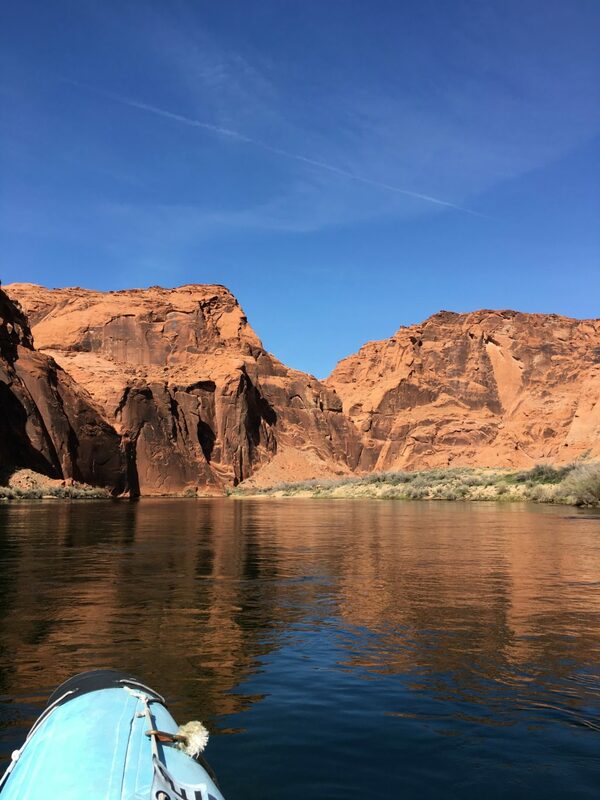 We took advantage of the beautiful day and quiet waters with a half-day float trip down several miles of the Colorado River. 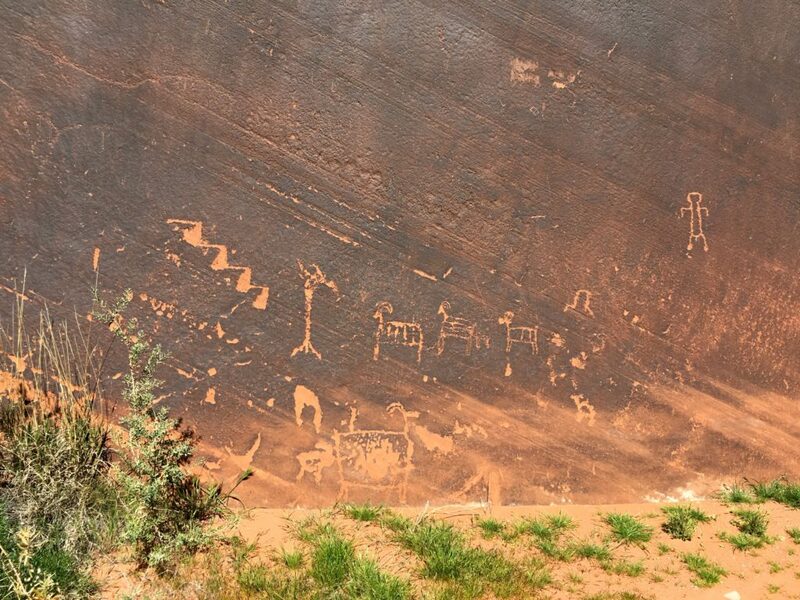 The motorized pontoon (basically a big raft with a quiet motor), stopped at a sandy beach where we saw 9,000-year-old petroglyphs…then we continued on around Horseshoe Bend. It was really cool to experience it from the water, then hike up later and see it from above. 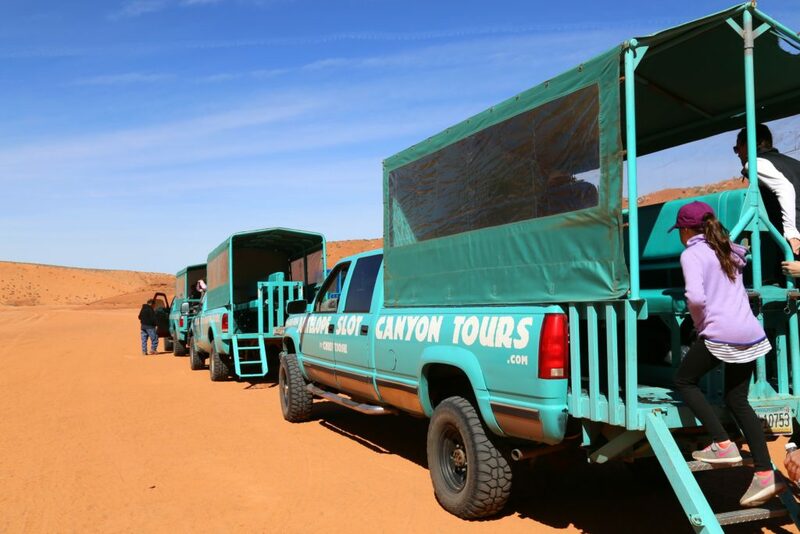 There are several tour companies operating guided trips to the Canyon, but this one is actually owned and operated by a Native American, giving it a very authentic feel. Our guide (Irene, she was the best!!) was extremely knowledgeable, and shared stories of the canyon passed on from her grandfather. She was also a whizz at pointing out cool shapes and formations within the Canyon, and helping us set our cameras for the perfect shot! You meet in-town, and covered trucks drive your small group to the Canyon. The half-day float starts with a drive down the 2-mile long access tunnel carved through the mountain, where a group of 15-20 people climbs on a motorized raft-type boat. 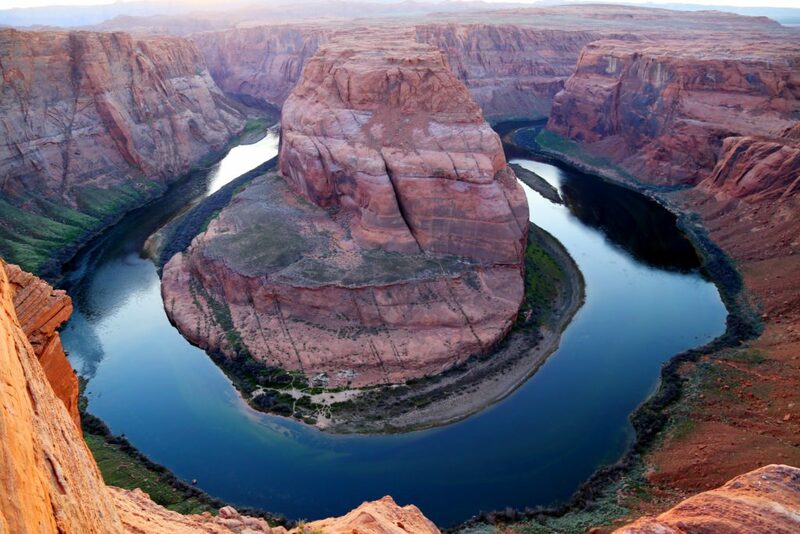 It floats several hours down the Colorado River and around Horseshoe Bend, and the guide shares stories of the Canyon’s history and Native American cultures. Sandwiches are available at the Welcome Center where you meet, and you can bring them on the float. 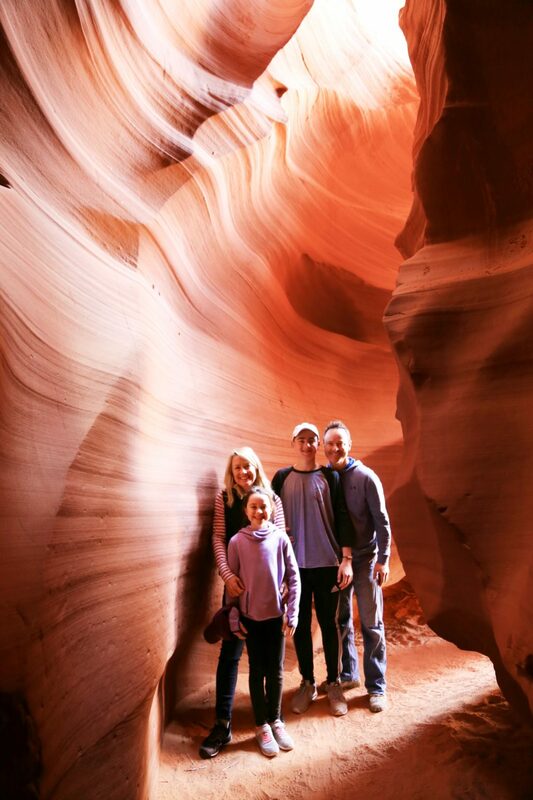 No tours necessary…it’s located off Highway 89 outside of Page. From the road, it’s nothing but flatland…which makes the dip to the Canyon that much more dramatic! A brand-new hotel with free breakfast and huge rooms. Festive spot with friendly servers, hearty portions, and great margaritas! 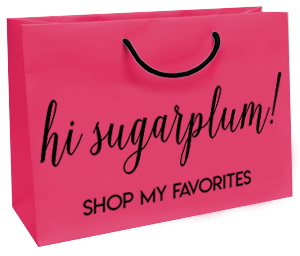 Sugarplum Travel Tip: If you’re there during season, check out Into The Grand…people rave about the whole experience! We were in Page less than 24-hours, but it made a big impact! And of course, the kids loved having a night in a modern hotel with heated pool! My final post will outline the full trip itinerary, including drive times, number of days in each park, etc…basically everything you need to plan a similar trip! Let me know anything else you’d like to know, and I’ll be sure to include it in the post! 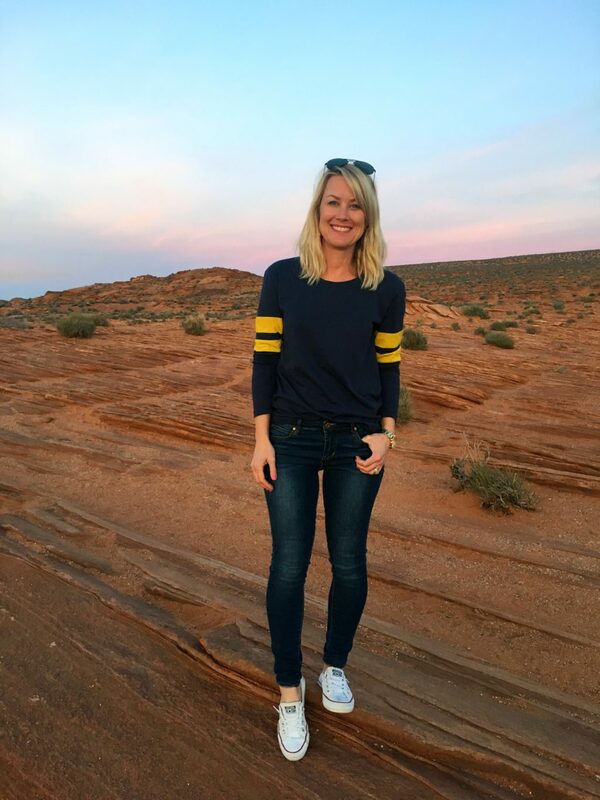 Stay tuned for a ton of style inspiration tomorrow…I’m recapping last weekend’s blogger conference! These pics don’t even look real! They’re PERFECT! The photos are beyond amazing. 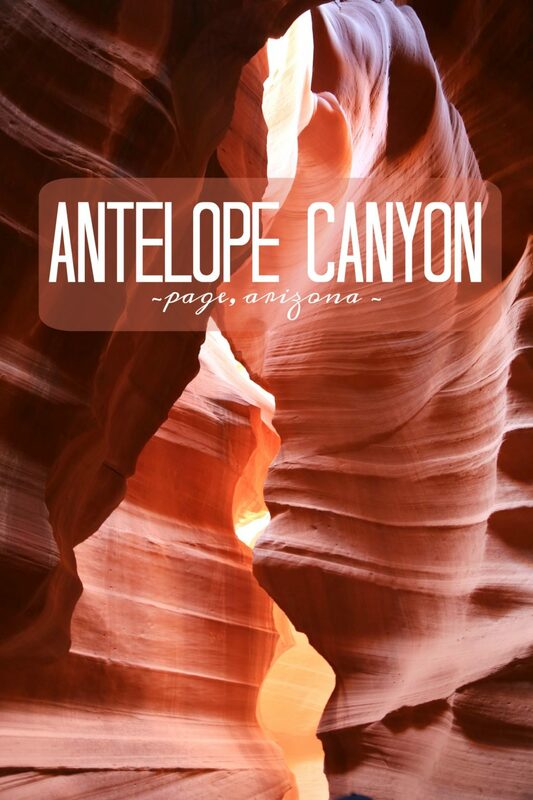 The Antelope Canyon is on my bucket list!! Such beautiful pictures! I can’t even imagine the views in person! 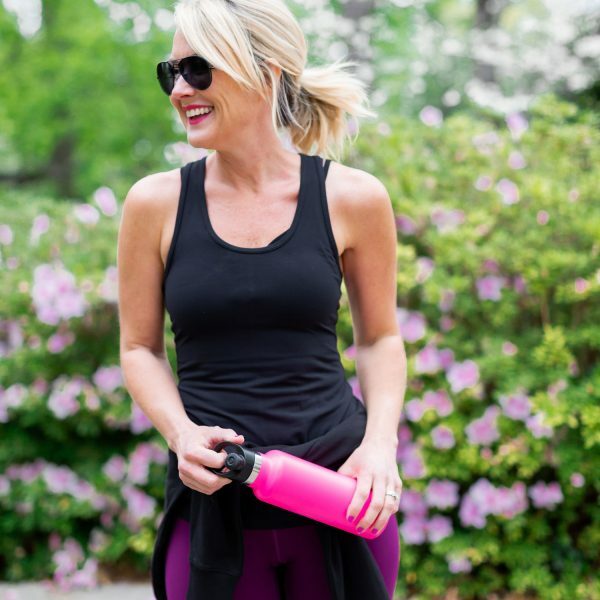 Cany wait for your style inspiration tomorrow! America is beautiful and so is your family!! Last summer, my husband and I spent a week rafting the Grand Canyon with Grand Canyon Expeditions. It was definitely roughing it – sleeping on a cot under the stars – no bathrooms – but such an amazing experience with people from all over the world. There is no cell signal during the whole experience, but still worth the week. 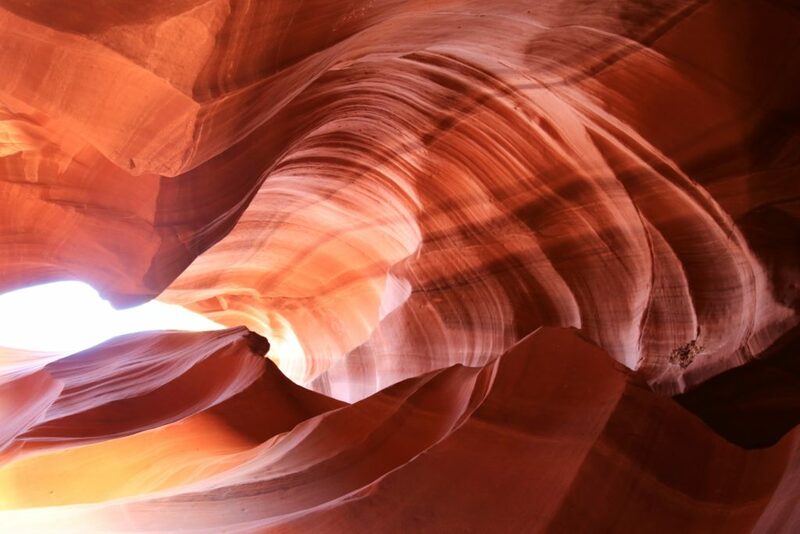 Now Antelope Canyon is on my list too. 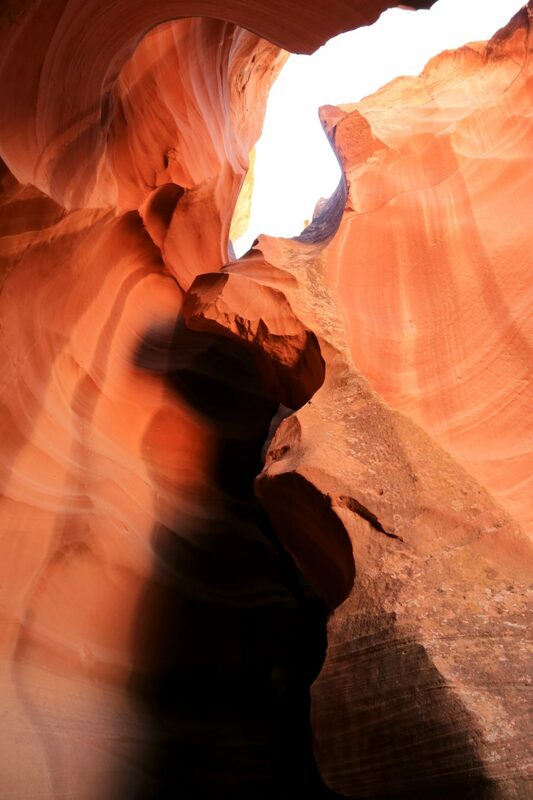 Next time hit the Lower Antelope Canyons – even more stunning if you can believe it! Absolutely gorgeous! Thanks for all of the tips. We did the Grand Canyon 2 years ago but are planning another road trip to California next summer. 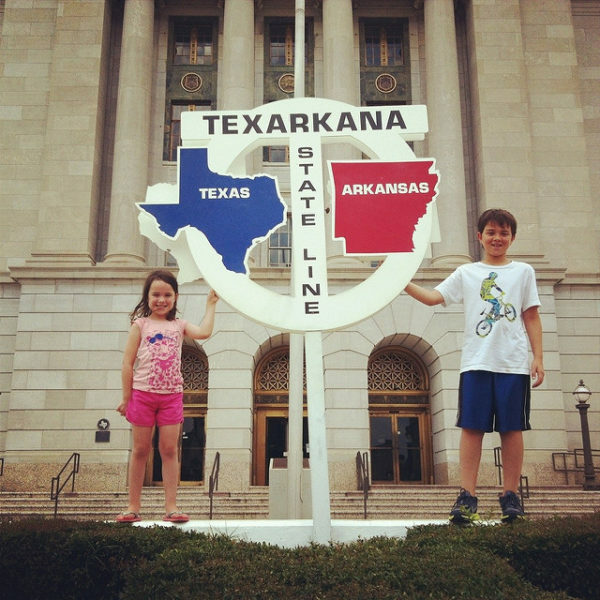 I think we need to add this stop to our itinerary! Oh WOW, this looks amazing and you are so AWESOME for sharing it all with us. I think we may seriously do this EXACT trip next year. Thanks so much for sharing all the details so we don’t have to reinvent the wheel. Thank you, thank you! BTW, do you ever sleep!? How do you do it all!? 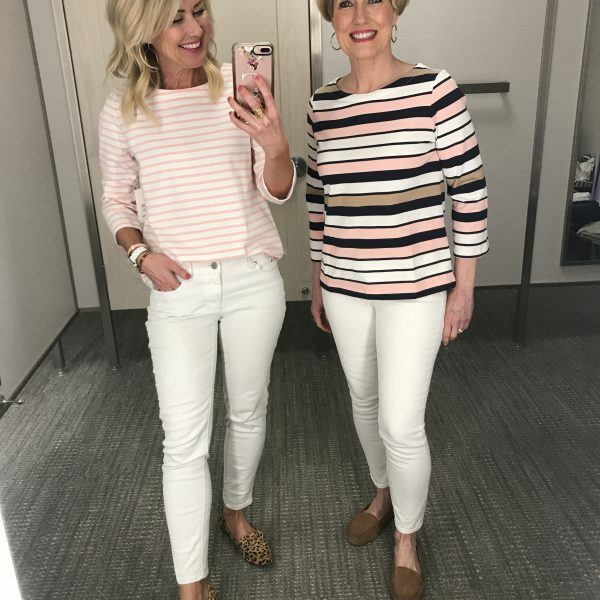 Plan fabulous trip, take said fabulous trips, blog, raise 2 kids and ALL that goes with that, shop, decorate, put outfits together, look fabulous. You are amazing! In fact, super human! And I think she has another part-time job too!!! Superwoman for sure. Gorgeous pics! Thanks for sharing! I love the way that your skin looks in the April 24th post! Can you share which kind of self-tanner you used? I can’t believe this place is real! It’s stunning and so beautiful! Thanks for sharing the video at the end. 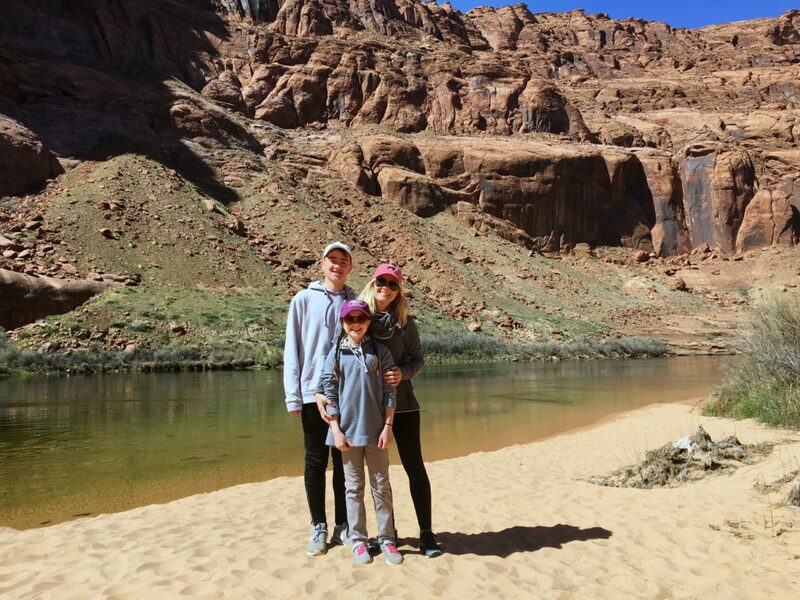 My family goes to Lake Powell every summer, in fact, this summer will make 21 years, and we go in to the lake at Page. These pictures make me ready to be there. I highly recommend a houseboat trip on Lake Powell. 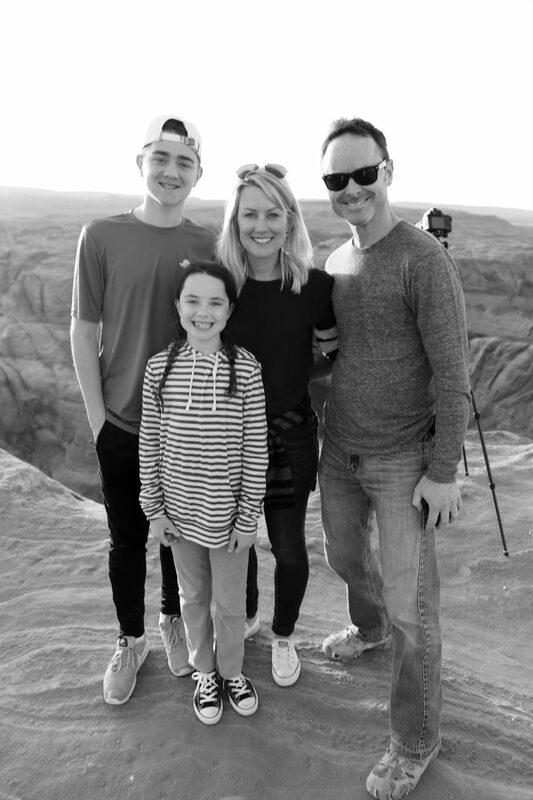 It’s one of the best family vacations ever! The lake is beautiful and you can hike back to Rainbow Bridge, also stunning. Great pictures.. my aunt and uncle were just there a few months ago and I was oohing and aahing over there pictures too. Gorgeous! I’m dying to take my family on this trip! Your photos are stunning! I have loved all your recaps from this trip. 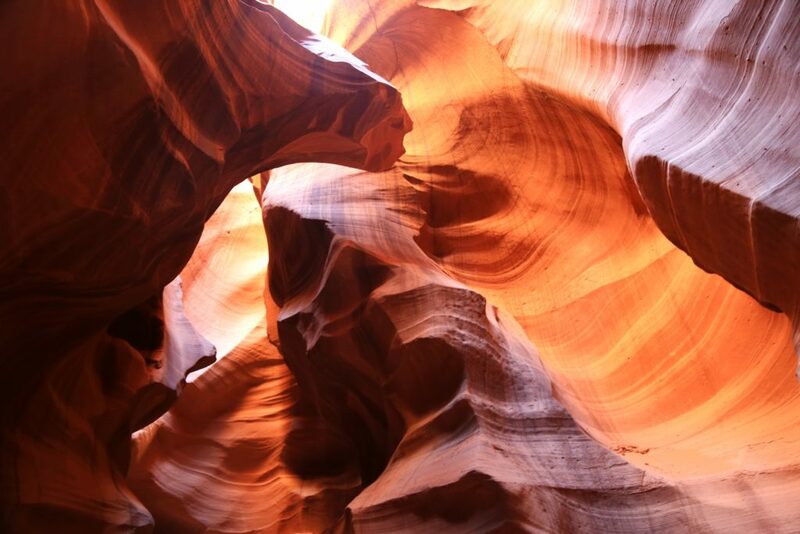 Antelope Canyon looks amazing, it reminds me of Petra in Jordan. But without the day of travel to get there! 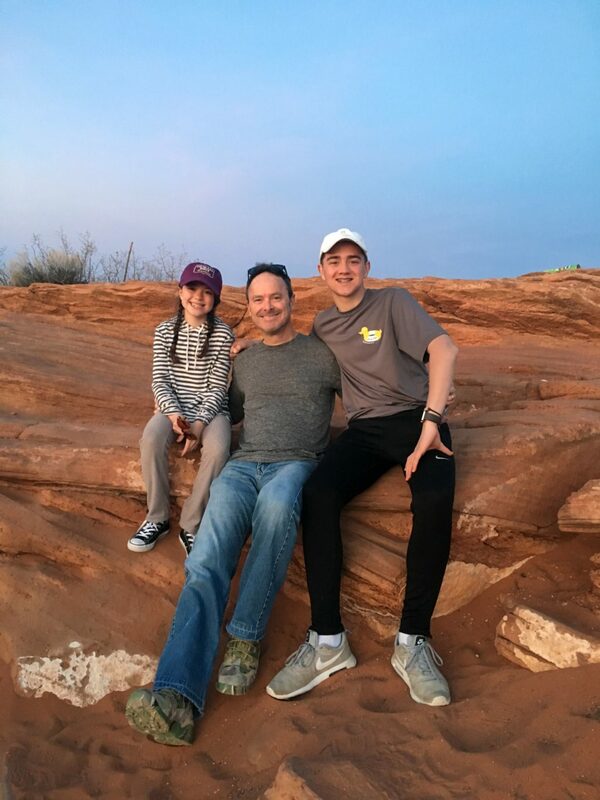 Thanks for sharing, looks like it was a wonderful trip. 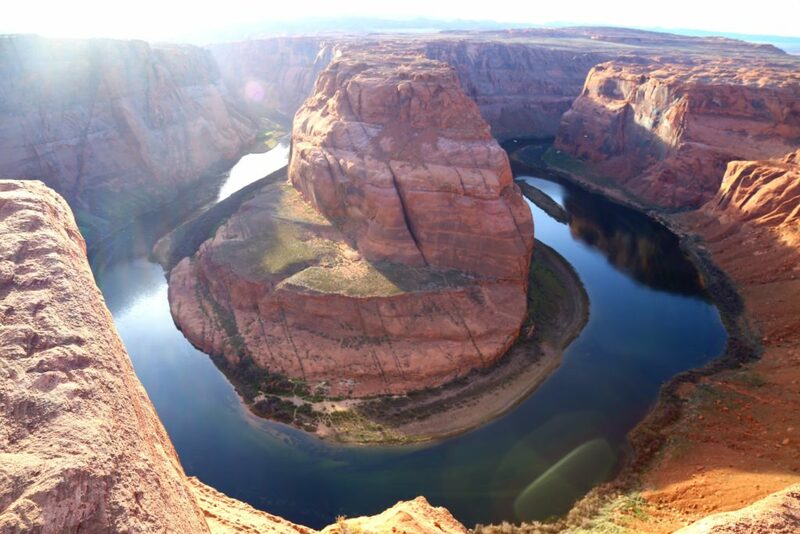 Was Horseshoe Bend crowded? Your photos look like you’re the only ones there! 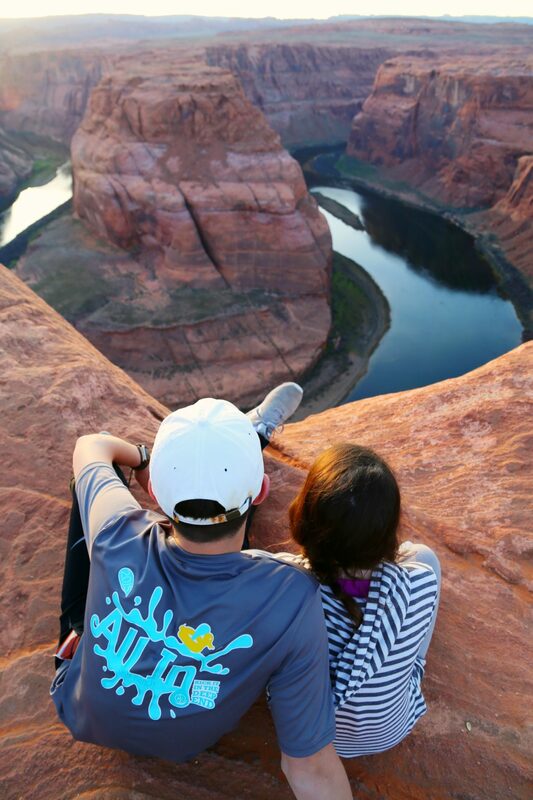 Thank you for sharing your itinerary – I am planning to copy your trip exactly for next spring break! I’m trying to recreate a lot of your trip for our Spring Break 2018. Did you do the Antelope tour and the river raft tour on the same day? Cassie- I am planning a trip similar to this. Thank you for your inspiration! 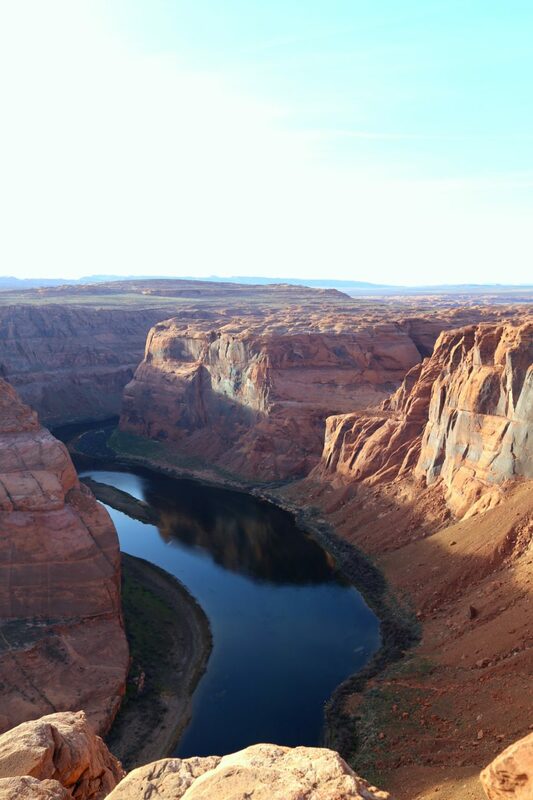 If you were only able to pick one thing to do in Page, would you do the Rafting Trip or the Canyon Tour? We have 6 in our group and trying to figure out if the Rafting Trip is worth the money. I know this is a one in a lifetime trip so I am willing to spend more. Thanks in Advance! 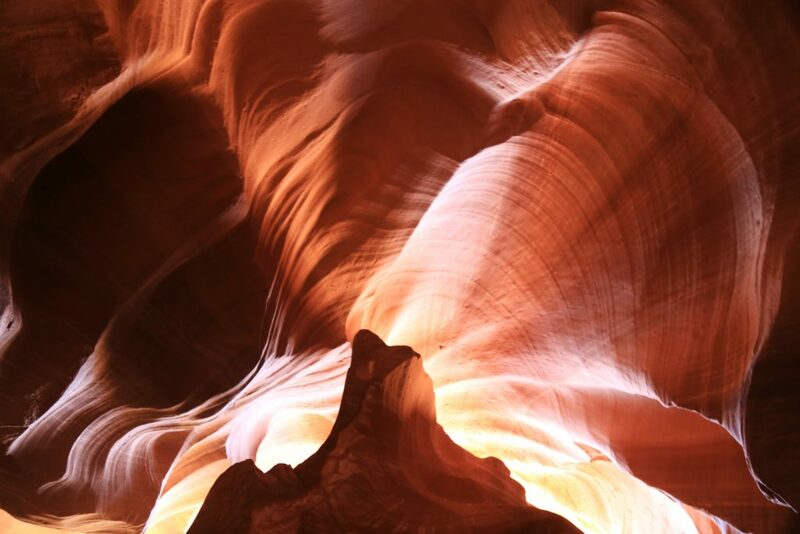 Definitely the Antelope Canyon! It was one of our fave things of the entire week-long trip!! Have a blast! 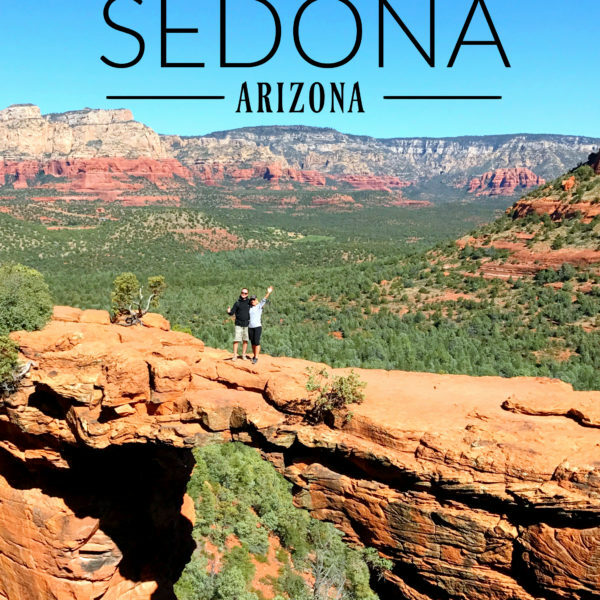 Your posts on this trip have been super helpful as I plan our Grand Canyon and Antelope Canyon trip this summer. 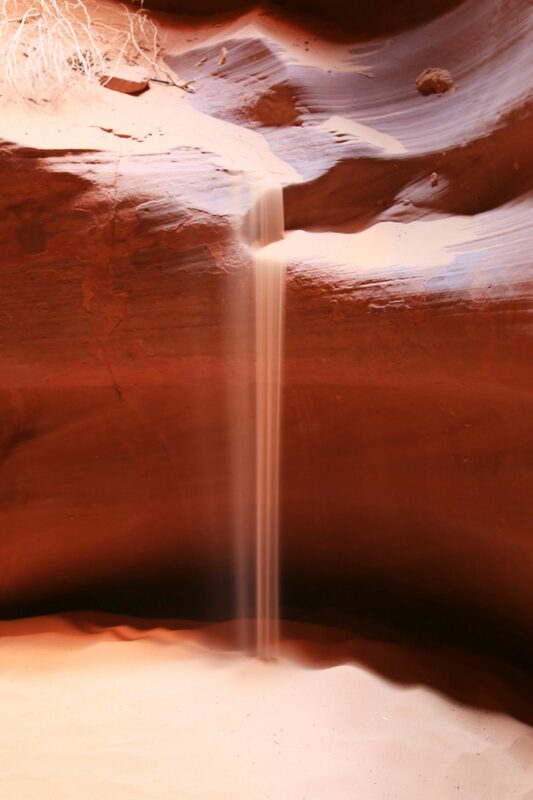 I wanted to ask you, which time slot tour did you do for Antelope Canyon? There are several options and their website says 10:30 and 1:30 are peak times. But, wondering if earlier or later times will have the spectacular light inside. Cassie, we are planning a trip somewhat like your National Parks trip but more taking tours instead of all the hiking because we are old and probably not in that great of shape. 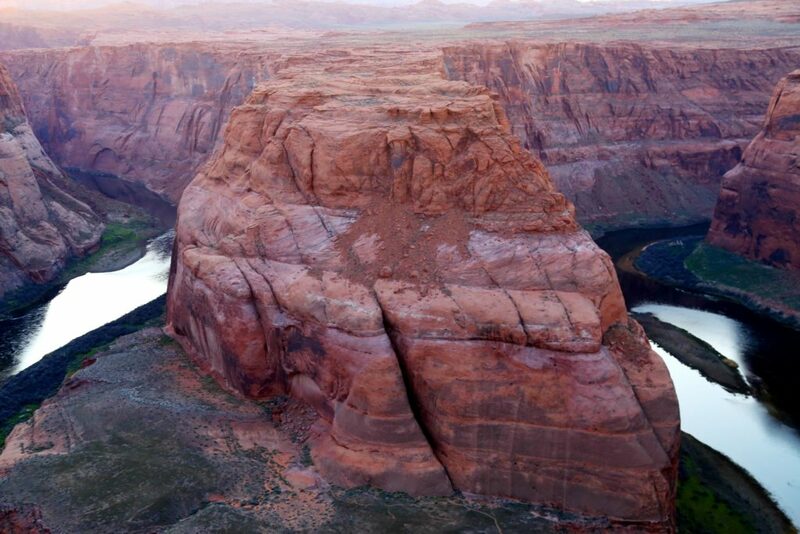 lol To get to Horseshoe Bend from Highway 89 what is the degree of difficulty to get to the top. Your pictures are beautiful. Thanks. PS from Gloria. 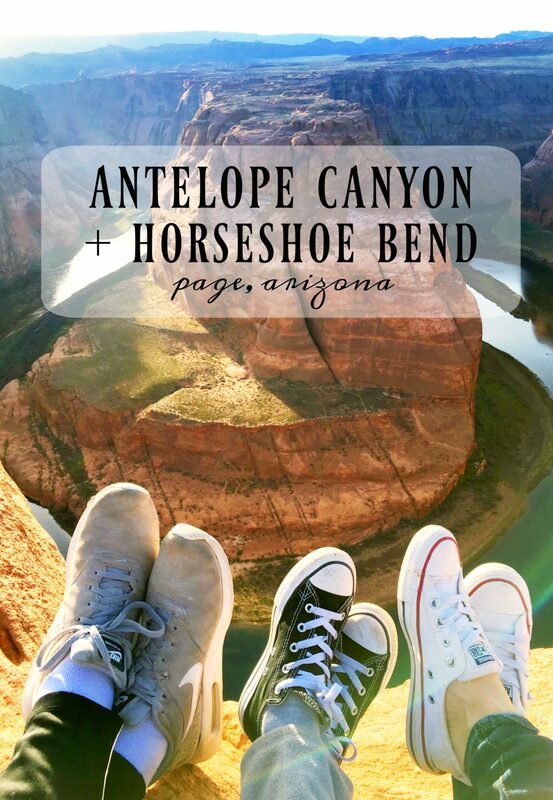 Are there tours available to get to the top of Horseshoe Bend?